I wanted to pass along some personal news: I’ve taken a position starting today with SpaceNews, as a senior writer there. I’ll be writing there on a lot about what you’ve seen here and elsewhere: space policy, commercial space, and related topics. It’s a great opportunity and I look forward to working with the excellent team there. With that good news, though, comes with a little bit of bad news: this blog will be going on indefinite hiatus. I won’t be posting new pieces here, as much of the content will be appearing on SpaceNews. The site will remain up, though, although comments will be turned off as primarily an anti-spam measure. I hope you’ll come over to SpaceNews, if you’re not already reading the site, for the latest coverage of the industry. Thanks! In an interview with USA Today earlier this month, Sir Richard Branson suggested those powered test flights would be restarting within weeks. “We are now in the last few weeks before finally embarking on the space program,” he said in the interview, published August 17. SpaceX has postponed a Falcon 9 launch of an AsiaSat communications satellite that was scheduled for just after midnight Wednesday in order to “review all potential failure modes and contingencies again” but adding there is no specific issue with the rocket nor a link to last Friday’s loss of an experimental vehicle in a test flight. In a statement issued around 10 pm Eastern time Tuesday evening by SpaceX, company CEO Elon Musk said the launch of AsiaSat 6 would be delayed by one to two weeks in order to “triple-check” potential issues that could cause problems. “We are not aware of any issue with Falcon 9, nor the interfaces with the spacecraft, but have decided to review all potential failure modes and contingencies again,” Musk said in the statement. The statement came more than six hours after SpaceX postponed the launch, offering no reasons for the postponement. A statement issued Tuesday evening by AsiaSat said that the launch “has been postponed until further notice to allow more time for SpaceX to examine and verify data,” but provided no additional details. The Falcon 9 rocket had already been placed on the pad when the launch postponement was announced Tuesday afternoon. Musk said in Tuesday night’s statement that the postponement was not linked directly to Friday’s loss of the F9R-Dev experimental vehicle in a flight at the company’s test site near McGregor, Texas. “After a thorough review, we are confident that there is no direct link,” Musk said. “Had the same blocked sensor port problem occurred with an operational Falcon 9, it would have been outvoted by several other sensors. 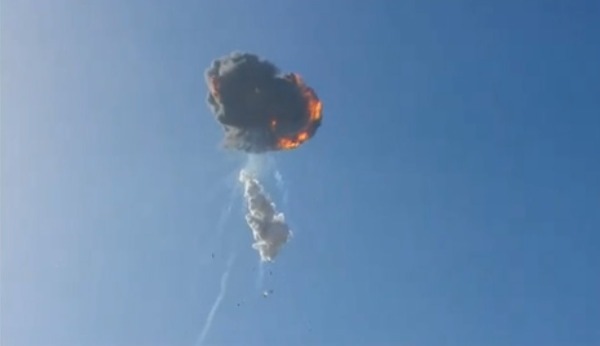 That voting system was not present on the test vehicle.” The reference to a “blocked sensor port” is the first detail the company has provided regarding the loss of the F9R-Dev vehicle Friday. A delay of one to two weeks would have ripple effects not only on SpaceX’s launch schedule, but for other organizations, including NASA. SpaceX’s next launch after AsiaSat 6 is a commercial cargo mission for NASA tentatively scheduled for September 19 before today’s postponement. A delay in that launch could also delay the next Orbital cargo mission, slated for launch in mid-October from the Mid-Atlantic Regional Spaceport in Virginia. SpaceX, which at the beginning of the year had plans to launch ten Falcon 9 rockets in 2014, has so far launched only four. At the AIAA Space 2014 conference in San Diego earlier this month, immediately after the Falcon 9 launch of AsiaSat 8, SpaceX’s Lauren Dreyer said the company had plans to do five more launches this year. That is still possible, although SpaceX will have to maintain a tempo of one launch every three to four weeks for the remainder of the year to meet that goal. 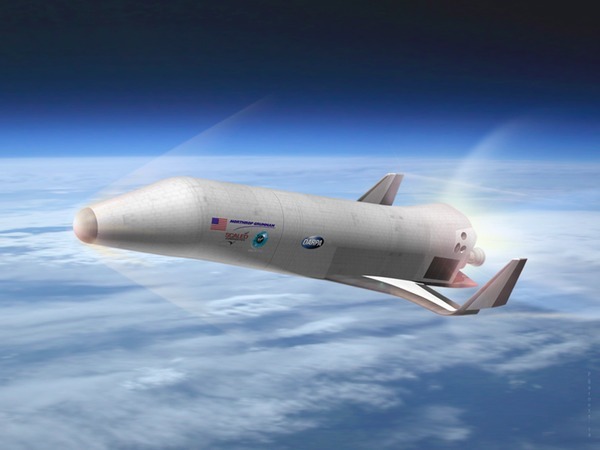 More than a month after DARPA formally announced the winners of Phase 1 contracts for its Experimental Spaceplane 1 (XS-1) program, the last of the three companies that received those contracts unveiled the design of the concept. In a press release Tuesday, Northrop Grumman showed off an illustration of its XS-1 design. The vehicle looks somewhat similar to Boeing’s XS-1 design, which the company released at the time the contract awards were announced last month. The release offers few other technical details, beyond that it will be launched vertically (based on statements in the release about plans for a “clean pad launch using a transporter erector launcher”) with a runway landing. Northrop Grumman’s team includes its wholly-owned subsidiary, Scaled Composites, and Virgin Galactic, which has been working with Scaled on the development of SpaceShipTwo. Scaled will lead the fabrication and assembly of XS-1, while Virgin would be responsible for “commercial spaceplane operations and transition,” according to the release. Besides Northrop Grumman and Boeing, Masten Space Systems also received a Phase 1 XS-1 award last month. All three contracts run for 13 months and cover early design work on each company’s concepts. The goal of the XS-1 program is to develop a vehicle that can serve as a reusable first stage for a medium-class launch system, as well as a hypersonic research testbed. The XS-1 vehicle would be designed to fly ten times in ten days, with at least one flight traveling at speeds up to Mach 10. Uwingu, the company that has previously given people the opportunity to name extrasolar planets and Martian craters, is now starting a new project. The company announced yesterday its “Beam Me To Mars” campaign, where people can pay to have a message transmitted from Earth to Mars on November 28, the 50th anniversary of the launch of Mariner 4, NASA’s first Mars mission. Uwingu offers several tiers of participation, from $5 for sending a name to $100 for a name, message, and image. Universal Space Networks will transmit the messages from its ground stations on November 28 in the direction of Mars. Uwingu says that half of the fees will go to the cost of the transmission, with the other half going towards the Uwingu Fund, which the company established to support science and education activities. No one, of course, will be able to receive the messages on Mars, but Uwingu is making the archive of messages available on its website. As of Wednesday morning, about 24 hours after Uwingu started the project, there were nearly 40 messages on display, including from some famous personalities: George Takei (Star Trek’s Sulu) and his husband, actors Seth Green and Clare Grant, and commercial spaceflight participant Richard Garriott. Beam Me To Mars is Uwingu’s latest foray into projects that raise money from the public. Uwingu started by soliciting names of exoplanets, which raised the hackles of the International Astronomical Union (IAU). Earlier this year, it started accepting names of Martian craters not previously named by the IAU, an effort that included a partnership with Mars One. That, too, has been opposed by the IAU. Transmitting a message to Mars would appear to be out of their jurisdiction, though. Update 8/20 7am: SpaceX late yesterday denied the TechCrunch report that it’s raising $200 million at a valuation of up to $10 billion. “SpaceX is not currently raising any funding, nor has any external valuation of that magnitude or higher been done,” SpaceX spokesperson John Taylor told Re/code, offering a similar denial to Bloomberg News. Original Story: Commercial space transportation company SpaceX is raising another round of outside funding that could value the company at nearly $10 billion, according to a technology trade publication. TechCrunch reported Tuesday morning that the company is raising outside investment that would value the entire company at “somewhere south of $10 billion,” according to the report. Exactly how much money SpaceX is raising isn’t clear, but the TechCrunch report claimed it to be “somewhere in the region” of $200 million. Some previous investors, like Draper Fisher Jurvetson, are involved, as well as unnamed “international financiers.” If correct, the $200 million figure would be by far the largest outside investment in SpaceX. Besides founder Elon Musk, who put $100 million of his own money to start the company, SpaceX has raised several smaller rounds, including $50 million in 2010. According to TechCrunch’s own database, the last outside private investment in the company was in late 2012, of $30 million. The private investments, though, pale compared to what SpaceX has received from the government. SpaceX received $396 million from NASA for its Commercial Orbital Transportation Services (COTS) agreement to develop the Falcon 9/Dragon system to transport cargo to and from the ISS. 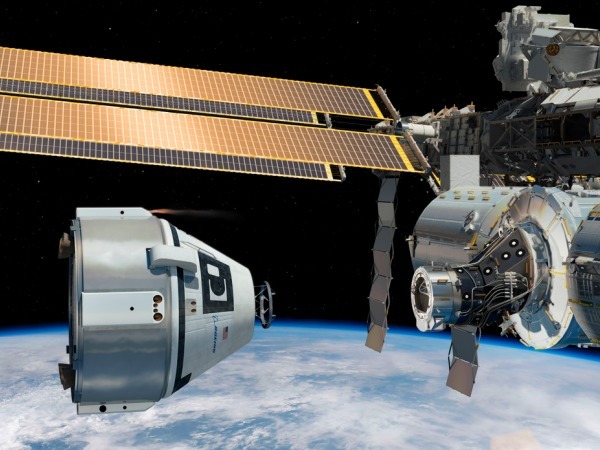 SpaceX has also won Commercial Crew Development round 2 (CCDev-2) and Commercial Crew Integrated Capability awards from NASA, valued at $75 million and $440 million, respectively to support development of a crewed version of Dragon. 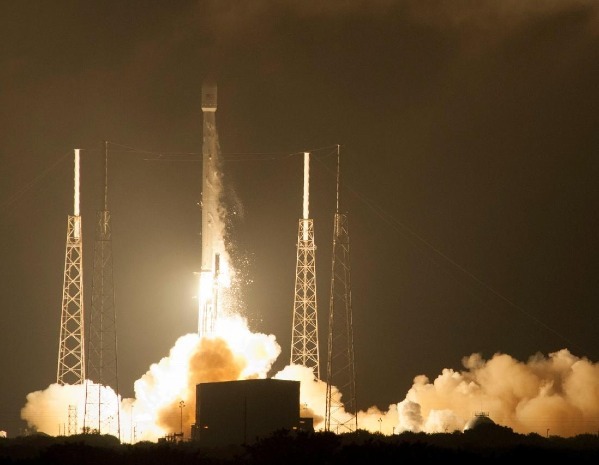 SpaceX also won a Commercial Resupply Services (CRS) contract to deliver cargo to and from the ISS, valued at $1.6 billion over the life of the contract, which covers eight 12 flights. What SpaceX would do with that $200 million isn’t known. One possibility is that it would use the funds to support “secondary sales” of the stock, allowing existing investors or employees with equity in the company to cash out, which could be useful to some given that SpaceX’s founder and CEO, Elon Musk, has stated there are no plans for an initial public offering (IPO) of company stock in the foreseeable future. 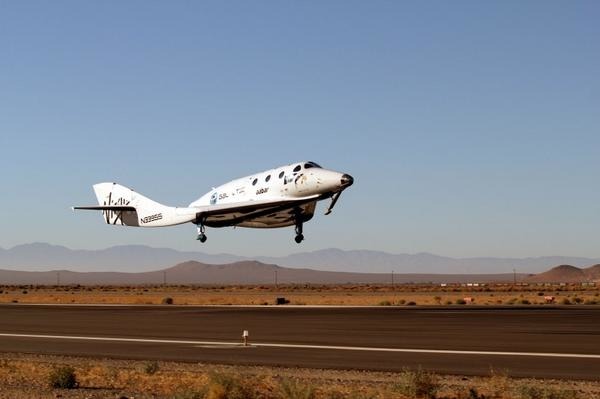 It’s been more than seven months since SpaceShipTwo last flew under rocket power, a hiatus linked in large part to a decision by Virgin Galactic in May to change the fuel used in the vehicle’s hybrid rocket motor. In late July, SpaceShipTwo made its first free flight since January, a glide flight. 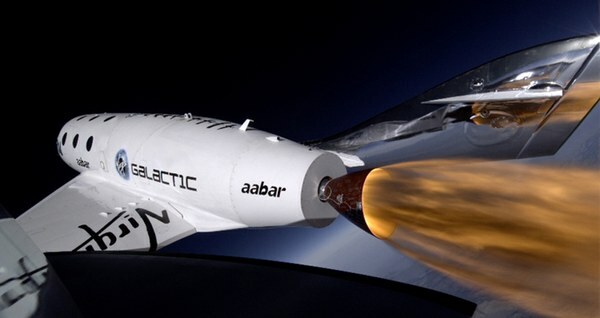 Now, Sir Richard Branson hints that SpaceShipTwo will soon resume powered test flights. In a wide-ranging interview with Maria Bartiromo published by USA Today on Sunday, Branson says that Virgin Galactic is still on track to make its first commercial flight before the end of the year, just four and a half months away. “We’ve got three more rocket tests and then we should be up, up and away by the end of the year,” he said, when asked by Bartiromo about the company’s schedule. “The space port’s [sic] ready. We are now in the last few weeks before finally embarking on the space program.” He also said that the “rockets” have been successfully tested, presumably a reference to static test fires of the new hybrid rocket motor on the ground. “I’ll be bitterly disappointed if I’m not into space by the end of the year,” he adds. There are, of course, many skeptics who believe that Branson still stands to be “bitterly disappointed” come December 31. XCOR Aerospace moved a step closer to moving its headquarters from Mojave, California, to Midland, Texas, on Friday with a ceremony marking the beginning of renovations of a hangar that the company will call home. The company, along with airport and other local officials, held a “ceremonial wall breaking” at the hangar at Midland International Airport to mark the beginning of renovations being done by the airport to host the company. Local officials are funding the renovation of the hangar as part of incentives it provided to XCOR two years ago to entice them to move to Midland. Once the hangar is ready and the airport has a spaceport license from the FAA’s Office of Commercial Space Transportation, XCOR will move its operations there. “We look forward to the transformation of Midland International Airport into the ‘Midland International Air and Spaceport,'” said John B. Love, a member of the Midland city council and chairman of the city’s Spaceport Development Board, in the statement. Getting the spaceport license is likely the next major milestone. Local officials are expecting the FAA to make a decision on its application by next month. One concern that arose during the licensing process was the effect that flights of XCOR’s Lynx would have on the “lesser prairie chicken”, a threatened species. Local media reported earlier this month that the government would monitor early Lynx flights to see if they caused any harm, a decision that appears to allow the spaceport license to go forward. 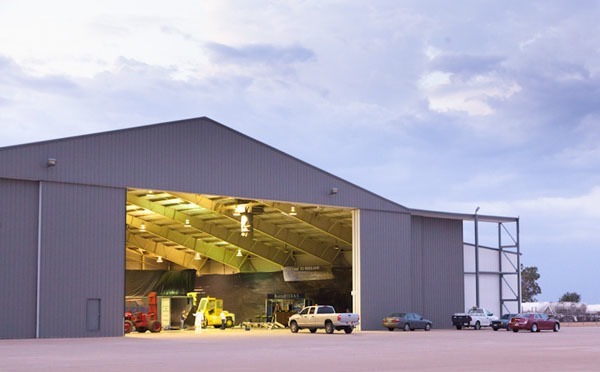 Renovations of the hangar at the Midland airport will start “immediately” after today’s ceremony, local officials said in the statement, with a goal of completing them by early next summer. XCOR would presumably then be able to start moving in. As for XCOR’s work on Lynx, company president Andrew Nelson said in the statement that the flight test program will start this winter. “As XCOR commences the Lynx flight test program this winter, the hangar construction signals the end of the beginning for our team. The next step is to get Lynx flying,” he said. Like XCOR’s development of Lynx, getting Midland ready for the company has taken a little longer than expected. When the deal was announced in July 2012, XCOR said that the renovation of the hangar would start in early 2013 and be done by late autumn of that year.